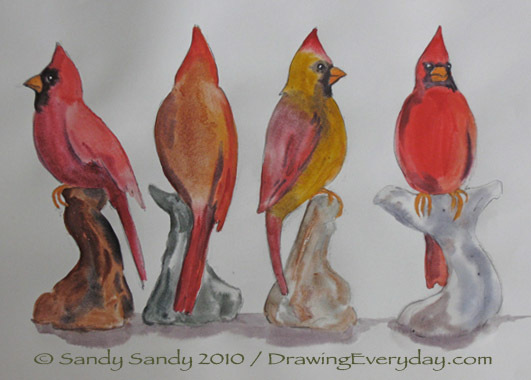 Today I had fun with the Cardinal gestures I posted on Monday. I played with a variety of colors and just let things happen. If you try this practice, you'll find it yields many benefits. 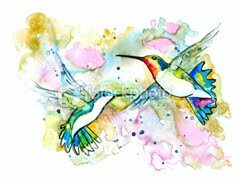 When you are doing an actual painting, you will have more confidence from your sketching experiences which will result in a freer more flowing piece. 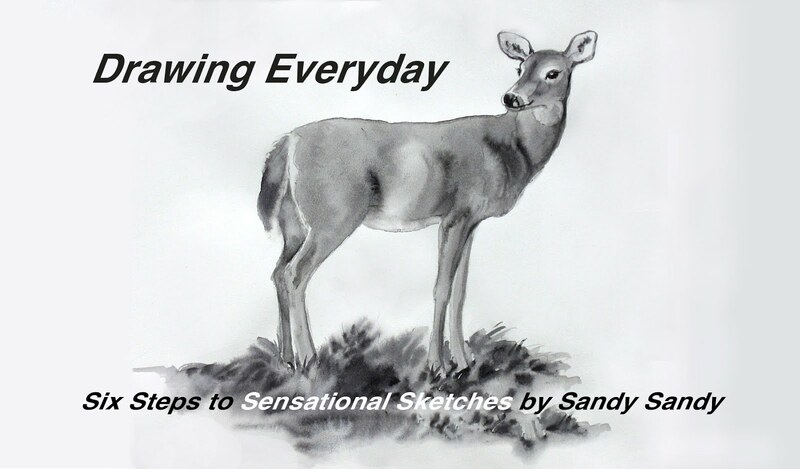 Remember to visit www.DrawingEveryday.com to see these posts archived in in chronological order.